I received these two new Juice Gems glosses from mark. last December and to be honest, despite the fact that brand has impressed me with some of their products, I wasn’t particularly excited to test them out. As a matter of fact I can’t remember the last time my heart fluttered over a lip gloss. I usually wear a rich balm or go all the way with a bold lipstick. I find glosses annoying to wear, especially in windy Montreal, my hair always gets stuck to my mouth (ugh! 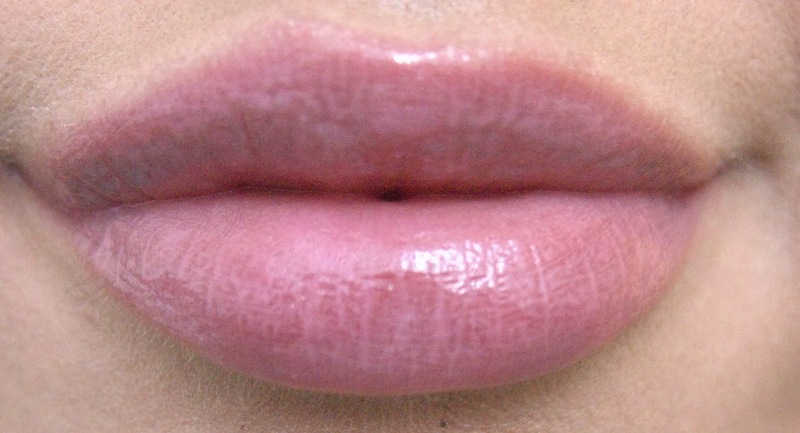 ), it never really lasts on the lips, I don’t like that tacky feeling and so on. It was my little sister that played with these bad boys and when I saw her so fresh faced with her glossed juicy lips I couldn’t help but feel compelled to reach for them myself. The rest is history. I am once again, addicted to lip gloss. Well…addicted to this lip gloss. These glosses are very aptly named, as they make your lips look juicy indeed. The formula is slick yet thick and rich but it doesn’t feel tacky or sticky. I actually enjoy the applicator, I prefer it to the classic doe footed ones that can move and drag the lipstick you might wanna top off. The color payoff is not significant, it has a slight shimmer and tint, Cherry leans on the pink side while Mango has a subtle coral tint. I can’t say that they are revolutionary or spectacular. The perform well but they’re nothing to write home about. Then again, I never really freaked out over a lipgloss and these bad boys managed to remind me how much I loved the juicy, plump, shiny look of a glossed lip. I would definitely recommend them, as they are incredibly nice, I enjoy the way they wear, they way they feel on the lips and of course, the yummy smell and ultimately the way they look. 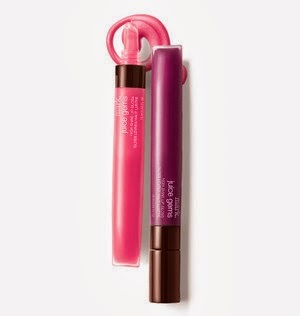 I might still be in denial of my new found love for lip glosses… all I can say is that I reapplied it twice since sitting down to write this review. I’m addicted, godammit!